I have no problem in admitting that I do some work for the FAI. I do it because I have been in football all my life and since I started playing for the Ireland underage teams when I was a teenager, so I have been in the FAI for 20 years or so. My loyalty is not to individual people in the FAI, my loyalty is to Ireland because ever since I started playing football, I just wanted the Irish team to do well. I know what’s been said about events of the last couple of weeks, and changes are needed at board level with the FAI. If something has gone wrong in there, the people responsible have to go, if decisions are being made that are not in the best interests of Irish football, those people have to go, but you can’t just have a mass clear-out of people. You need to be very careful. Just because certain people are not liked, you can’t expect everyone to go. For the sake of clarity I have to say that I have had a good working relationship with John Delaney over the years, and he has always been good to me. And you can’t deny the things he has done for the game here, for Ireland to have someone on the UEFA Executive Committee is very important for the FAI. If something irregular has happened within the FAI, then people should be held to account for that. What’s gone on in the last few weeks is not what we want from our national association, but this should not have been allowed to happen. You have had the same people on the board for a long time now, too long, and there is an opportunity now to make things better, I do feel that things need better direction. Not just the board of the FAI but any board needs fresh blood, new ideas. That should happen naturally, it shouldn’t be forced on you. But you can’t pin it all on one person. You need to take a look, see where it has gone wrong and if someone has done something which is unacceptable, by all means they have to be held accountable. We can’t just throw out everyone who works for the game here because that’s what people want right now. It makes no sense to just sack the board, bring in a new board and then get rid of them in two years. Not everyone who works in the FAI is a bad person. I have friends who work there, I know how hard they work, how passionate they are, and they do no deserve to get picked on or made fun of because of what has happened at board level. We should be very proud of all of the coaches who work with the national teams as they are really good people. What’s being talked about in Ireland now, especially this week with the Oireachtas committee meeting, is the business side of it, it’s not the football end of things, and those coaches work so hard for the sake of football. I feel for those people as they are being hammered all the time because they work for the FAI, and it’s the one topic that people in Ireland are speaking about this week. Finances are being investigated and that’s only right but the staff of the FAI don’t deserve to be dragged into it. Not just in football but in any organisation, you focus on your own role. You do your job to the best of your ability and you hope that the people around you do the same, you hold up your end and everyone thrives on the success you get at the end of it. If someone is not doing their job correctly they let everyone down, and that applies to the FAI the same as anywhere else. The financial side of the FAI has to be run properly and if it’s not being run in the right way there should be consequences, the same way there are consequences for the manager of a team that’s not doing as well as they should be. 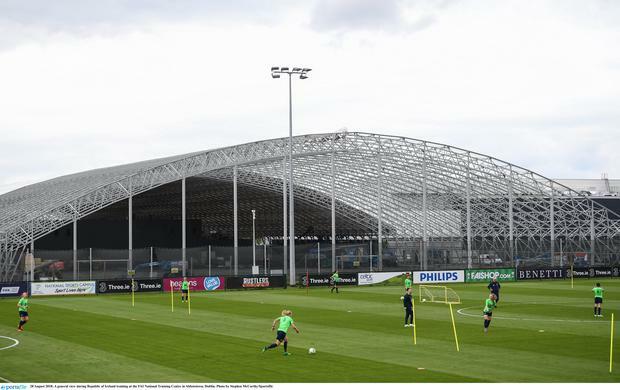 There is a lot going on that FAI staff should be proud of. The senior international team had a good start to the Euro qualifiers, the underage teams are doing well, I am told that attendances in the League of Ireland are up so if there are problems at the financial end, they need to be cleared up.